The only thing better than buying designer duds is finding a designer deal. Marshalls understands this sale-shopping mentality like few other retailers do, which is why its Vancouver grand opening is welcome news to many fashion lovers. The off-price retailer is set to open Thursday April 4th (that's tomorrow!) at Ontario St. and SW Marine Drive. Doors officially open at 9am, but early birds who show up at 7:30-8:30am will have the chance to fill out a ballot and win a $1,000 shopping spree. (This giveaway is exclusive to the Vancouver store's grand opening, by the way.) As Marshalls spokesperson Tamara Robbins Griffith joked at yesterday's media preview, "Think of how many pairs of shoes that buys!" 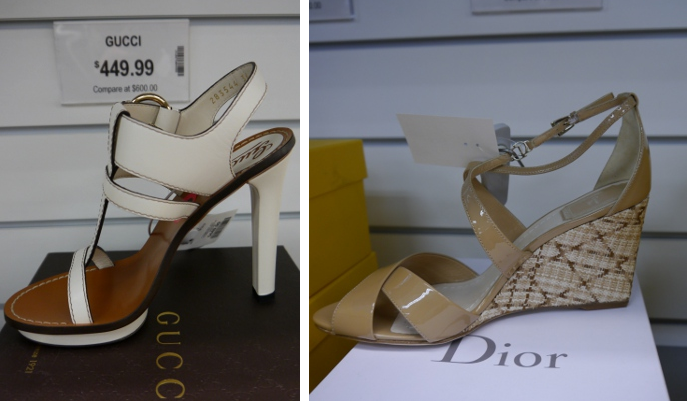 It could very well be your chance to take home a pair of discounted Tom Ford stilettos guilt-free. Or if you need new sheets instead of shoes, you can save the spree for August when home decor and accessories will be available. Because I had to rush downtown for an evening class, I didn't have a chance to really browse and spend my complimentary media preview GC. But based on what I saw, I'll definitely have to come back. Here's a little glimpse of what awaits you at Marshalls. For the media presentation, style expert Luisa Rino used Marshalls items to put together four distinctive looks based on different Vancouver neighbourhoods, proving that the store has something for almost every Vancouver woman's style. Kate Spade and Badgley Mischka bags, anyone? Gucci, Tom Ford and Dior are just some of the high-end designers showcased in the shoe section. 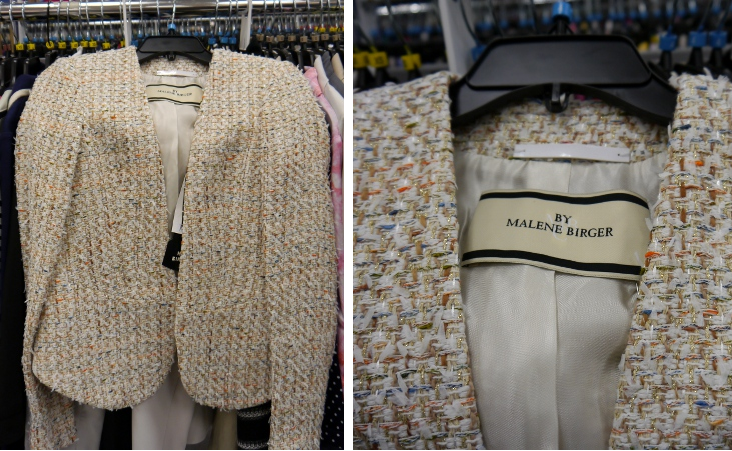 A quick perusal of the racks uncovered a multi-coloured tweed By Malene Birger jacket. With a little more time, patience and digging, who knows what I might find next time!